The I-T department has registered a case against Jain under the new Prohibition of Benami Property Transactions Act. 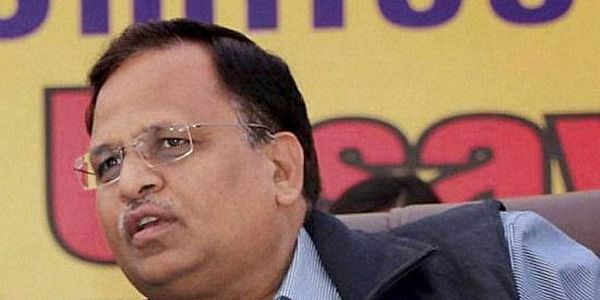 NEW DELHI: Delhi Health Minister Satyender Jain today moved the Delhi High Court seeking stay of the proceedings before the adjudicating aurthority in connection with an Income Tax order under the new benami law to provisionally attach assets allegedly linked to him. The application came up for hearing before Justice Rajiv Shakdher, who listed it for March 31, when the court is scheduled to hear the AAP leader's plea against the authority's decision to attach some of his assets. While adjourning the matter for the next date, the court noted in its order that Jain's counsel has claimed that the main petition has been partially heard by some other bench, so this application should also be listed there. "List this matter before the appropriate bench as per the convenience of the Acting Chief Justice," the judge said. When the matter was initially filed in the court against the IT order, it had refused to stay the proceedings before the adjudicating aurthority as sought by the minister. Jain in his fresh application has sought a direction to the adjudicating authority not to pass any order till his petition in the high court is finally decided. He has also sought a stay on the proceedings before the authority. The minister through his advocate Amit Anand Tiwari said the adjudicating authority was to give an opportunity to him to be heard and also cross-examine the witnesses, but it was not granted. "The entire proceedings before the adjudicating authority was illegal as various witness testimonies that have been recorded are not being provided to the petitioner. "It is trite law that fair hearing includes supply of all documents, whether they have been relied upon or not, at the time of final adjudication," the minister said in his plea. He contended that the "denial of an opportunity to cross examine the witnesses, on whose statements reliance has been placed, is contrary to all canons of the principles of natural justice and fair play." The CBI, too, has registered a case against Jain on the I-T department's recommendation. According to Jain, the alleged benami transactions, from the proceeds of which the attached assets were claimed to have been purchased, took place between 2011 to March 31, 2016 and hence, the amendment which came into effect in November 2016 would not apply. His lawyers sought that either the proceedings under the benami law be stayed or the tax authorities be directed not to pass a final order till his petition in the high court is finally decided. Hundreds of bighas of land and other assets worth over Rs 30 crore, allegedly purchased in and around Delhi by four firms have been provisionally attached by the department under the new benami law which carries a maximum punishment of up to seven years of rigorous jail term and a hefty penalty. The assets were initially provisionally attached on February 27, 2017 and the order was extended on May 24, 2017 by the I-T department till the time the adjudicating authority took a final decision.